Tomorrow doesn't have to be like yesterday if you decide to change today. Get all of Rachel's books and bonus items in one package. 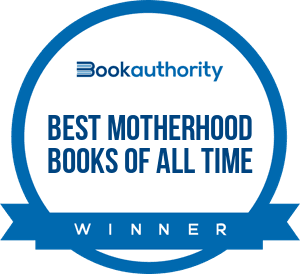 2 Autographed copies of Brave Art of Motherhood. "Unstuck" ebook, Rachel's never before published exclusive to this offer. Audio Book for members who would rather listen in the car. Who is Rachel Marie Martin? 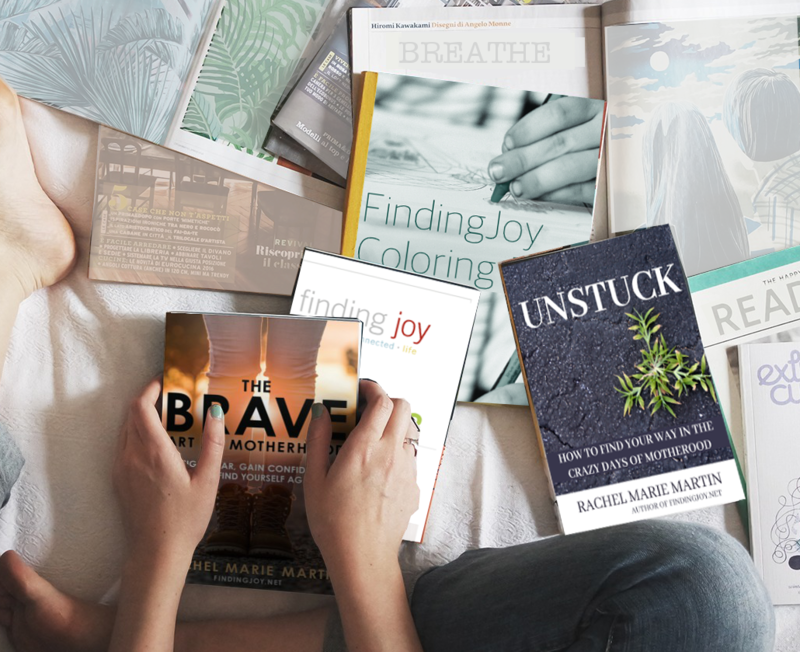 RACHEL MARIE MARTIN, having pulled herself up from poverty to being named one of Inc. magazine's top 40 entrepreneurs, has been writing Finding Joy full time for several years and writing online for over a decade. Rachel is a single mom of 7, whose experiences range from homeschooling her two oldest daughters from kindergarten through graduation, now being a public school mom of 5. She's the daughter of church planters, a long time housewife and now a professional business woman. She has always had a passion for a daring, adventure-filled life and is often requested to speak and motivate others with her vivacious energy and deep belief that life is a gift. Rachel is also a partner in Blogging Concentrated, the world's largest training and development company for bloggers, vloggers, and podcasters. 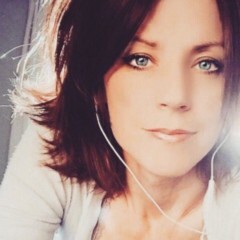 She travels worldwide teaching marketing, voice, messaging, social media strategy and more. 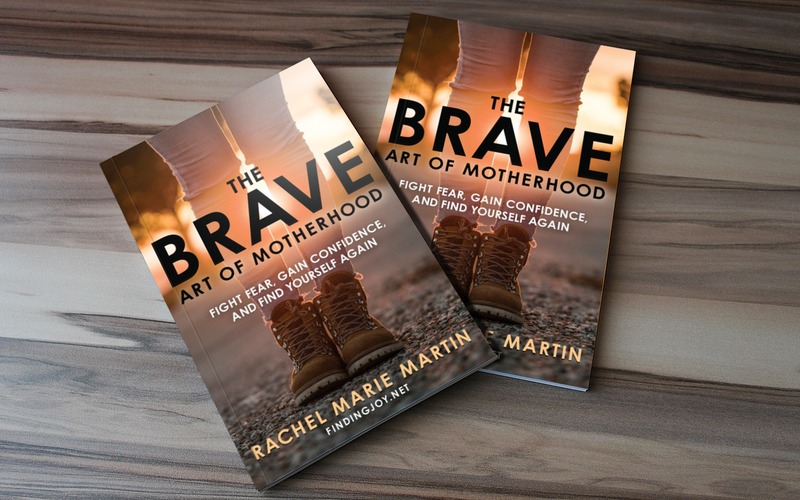 Buy the Brave Art of Motherhood Super Bundle Now! AND get the Brave Art Book Club & Conversation Guide, which brings a new level of engagement and depth to the book. Read more about the perks. . . 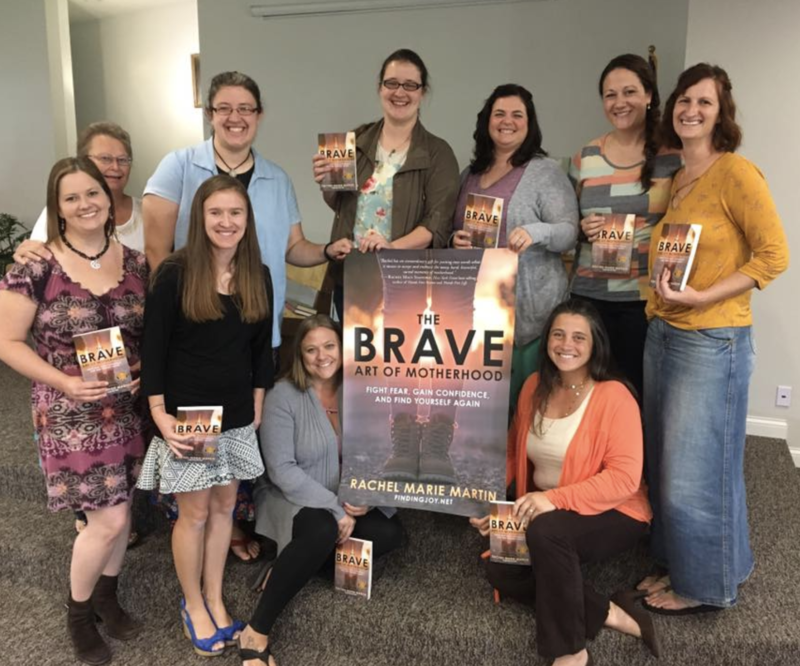 The "Brave Art of Motherhood" audiobook was narrated by Rachel and those who have listened to it say it is the best audiobook they have ever listened to. Rachel brings all the love, humor and sincerity to the reading another narrator never could. Unstuck is a collection of popular blog posts and new stories that we never put together in a book and will likely never be for sale. So if you'd like some exclusive content you can't get anywhere else, this perk is for you. The Dear Mom Letters is Rachel's first book. It is a collection of open letters she wrote to mother's everywhere about overcoming difficulties, acknowledging the hardships and recognizing that you are enough. Some of the letters were shared millions of times on Social Media. Two of them have almost 2 million likes each. 46 pages of Mandalas, kids coloring pages, drawing pages, and pages to color and hang at home. The Finding Joy Coloring Book was made in conjunction with Color Monthly and is a very calming, enjoyable book. The Conversation Guide, written by Rachel, really delves into the themes of the book and gets you thinking. Great change is made by going through the guide and truly applying the ideas to your own life. It was written in hopes that you'd never want to read the book without it. There's quite a bit in the Guide that's not in the book. We have complete Book Club Kits and Bulk books for any size group. Our kits come complete with a book club guide, activities, recipes and more. Just contact us! Or we can just send a gaggle of books. Talk to us! I didn’t hesitate to say yes. I pushed my chair back and grabbed my coffee, and together we walked across the leaf-covered street to Hannah’s favorite store, while she rapidly talked about how much I would adore this place and all the amazing objects inside. As we wandered around the dusty shop, I observed something unexpected. In fact, I started to laugh as the reality became clearer. You see, her “vintage” store with collectible items that withstood time was not filled with the antiques I was expecting but was, in fact, filled with relics from my own childhood. While I hummed the melody, I looked up at Hannah meandering through rows of my childhood now for sale. She was looking at neon shirts, and as she thumbed through the rack, her face scrunched up just a bit. I’d seen that face before. It was long, long ago on the hot summer night when she was born. Her tiny six-pound-thirteen-ounce self came into this world with that same scrunchy face. She was a feisty newborn, completely dependent on me, her rookie mom. I sighed heavily—the type of sigh reserved just for moms—and as she decided which eighties shirt was the best I wondered, Where in the world did the time go? She didn’t know I stared at her, but there she was, just a couple of years younger than I was when I’d first held her. I remember that me. I was feisty, full of dreams, full of hopes. Now there I stood, twenty years later, a divorced mom of seven kids, watching her and, in a way, watching myself. That sigh wasn’t just about how quickly she grew up, but it was also because of the clear image of my own passage of time. There is an unspoken tension in life. When we are young, we’re oblivious to it, unaware of the movement of time. But the older we get, the more we become aware of its constant ticking. Then one day in the middle of our life’s moving timeline, we become mothers, and that timeline that was once ours alone we now share. 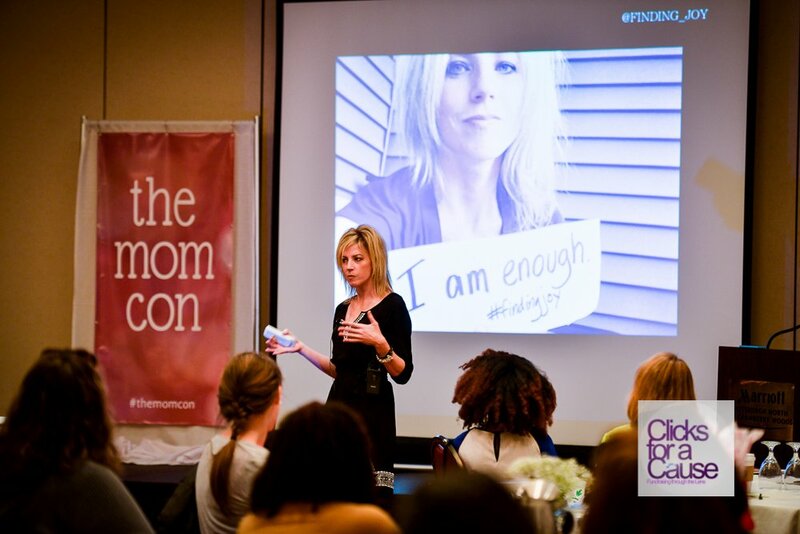 As moms, our time is fragmented, and we focus on our children. We stop documenting our own accomplishments and instead document theirs: a week old, a month old, a birthday, the start of school, the move to middle school, prom, graduation.With each new milestone, we have more to do, more to keep up with, more expectations to manage. And time keeps moving, keeps ticking by. It doesn’t slow down for hard times or for blissful moments or for times when we just need a break. Yet I cried when my Hannah turned one, because I felt as though I’d already lost a year of her childhood due to time’s tick. “Slow down, time, slow down,” I’d pleaded. But life gets busy, so busy that the appreciation of time’s movement gradually shifts to those days when we quietly chant under our breath, “I just want to make it through.” There are times when we can’t wait for the day to end, when the burdens and expectations keep piling up and there doesn’t seem to be enough of us to go around. There are days of slammed doors, cranky kids, and “I hate you! You’re the worst mom ever!” when we’re just trying to be the “good” mom. Next thing we know, we’re another mom in a march of moms who are going through the motions of motherhood, joking about the moments of peace we might get at the end of the day, cursing the homework our kids whine about, and telling one another we’ll join that kickboxing class when our schedules get less busy. We become so focused on getting through motherhood and doing for our kids that somehow we lose sight of all the mothering our mothers did during our own childhoods. Think of all the piano lessons, recitals, and orchestra concerts our moms went to for us. The soccer practices and cheerleading competitions. The constant shuttling to and from our high school jobs. They spent their precious time helping us grow and achieve our goals and skills and loves. The world was at our feet, and our moms helped and encouraged us to discover our passions. Yet when we become mothers, the focus of priorities shifts. Instead of continuing to pursue our dreams, we abandon them and copy what our moms did before us. We put ourselves on the back burner to help our children achieve their dreams, knowing the whole time that we’re only helping them achieve the dreams they have before they, too, become parents. What if you broke that cycle in your family? What if you decided to teach your children that those skills and dreams you fostered as a child are just as important for improving your entire life, and in so doing, you take moments out of your schedule to focus on you? I’m not suggesting that you no longer help your kids achieve their dreams; I’m suggesting that you do it alongside continuing to pursue yours. What if seeing you do that means that they, too, will pursue their dreams their entire lives? Just as Steve Miller sang, “Time keeps on slipping,” we don’t have unending amounts of time to someday get back to doing what we dreamed of. Every tick of the clock is a minute further in our lives. When I first held Hannah in my arms, I felt as if I had an infinite number of ticks. Twenty-one years of the clock flipping over and over have since happened. And when I stood in that Seattle vintage store, I realized that the art of life, of motherhood, happens when we exhale and cherish today while we also seize the moment, the inch of time today, and move ourselves forward to reclaim who we are meant to be. For so many years I went through the motions. I got busy with motherhood, learned to accept reality as unchangeable, and existed. I didn’t have a fire to appreciate that inch of today. Instead, I took it for granted. You probably do that too. You are worth not settling. But you have to decide not to assume that you always have tomorrow to do what you need to do today. I know you didn’t intend to forget yourself. I know you want to be happy. I know you want to fight for your heart. I know you want to rightly order your life. I know you want to have that deep bravery and sense of purpose. I know you want to rediscover your passions from your childhood. It’s not that we’re trying to forget ourselves. We just get busy. And it’s so easy to lose track of time in motherhood. It’s even easier to overlook the importance of our own hearts. Stop saying, “I’ll get to that tomorrow.” That’s our first task for ourselves. You owe it to yourself, your family, your friends to live without fear and with wild abandon. You owe it to yourself to get to everything on your tomorrow list today. I am passionate about helping you ignite the fire of urgency in your life. I believe in you, I really do, and know that whether you have one child or fifteen, are married or divorced, are wealthy or poor, have direction or none, you can recapture time’s inches in life. You are worth fighting for each inch today.